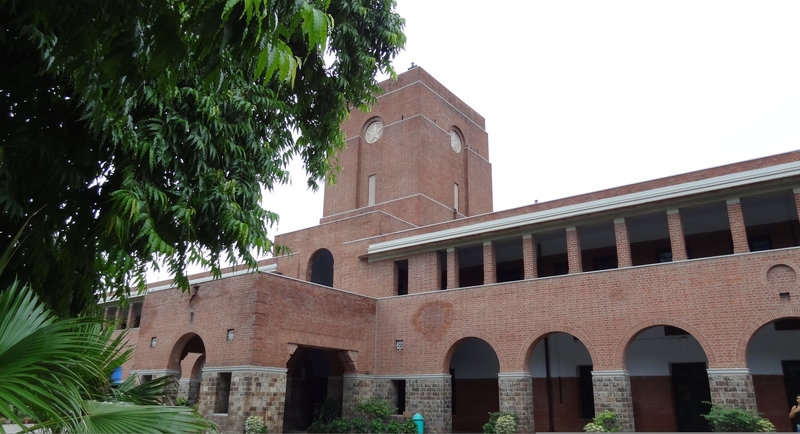 Delhi University is all set to start the second phase of Undergraduate admissions 2016. Though the last date of registrations has been extended to June 22nd, St Stephens College has released the first cut off list for UG Admissions 2016. Stephen’s follows different admission criteria from other DU colleges and it is considered as one of the best colleges under Delhi University! With various courses being offered at St Stephens College. we see that there has been barely any changes in this year cut off! The most sought-after course Eco (Hons) saw the cut-off go down by 0.25 % for all the three streams. Cut-offs for reserved categories have shown an increase this year. The highest cut-off is for English (Hons) at 99% for commerce students showing no change. The only subject that saw an increase was BA Programme for science and commerce students.The cutoff increased to 96.5% for science stream students and 97% for commerce stream students. Even for science courses,the cut-offs have decreased.Only Physics (Hons) saw an increase of 0.33%. These cut-offs only qualify an aspirant and they will have to sit for an aptitude test and an interview. 15% weightage is given to the aptitude test and interview and 85% to the Class 12th Board Exam marks. You can find all the necessary details regarding First Cut Off List by Stephens College from their Official Site from here. We wish you best for your admissions. Also, don’t forget to subscribe to our website and faccebook page to receive instant admission updates. Do st.stephens release 2/3 cutoff lists and when ? i have filled st stephens undergraduate form. how i will come to know whether i am selected for interview or not. in du i have applied with eca quota , obc category. i filled trials for badminton too in st stephens. My daughter got 94.25 (bfs),in B.A.history (h)is there any possibility of my admission in st.stephens. Why is obc category not given in the cut off list? What is cut-off for B.com stream? whether the percentage of marks obtained in PCM is considered for deciding the merit for admission in B.Sc. (Hons) in DU or the percentage of marks obtained in best four subjects including PCM. kindly clear this point. Thanks. search ‘calculations of merit of Delhi university’ on Google. My son got 75% and rashtrapati award 2015 can he got admission stifan college as PCM categry as sc. What is Bfs ? Best of Four Subjects ?